The postman always rings again... eventually. It's been a couple of weeks since our last mailbag, and we thought it was high time we heard from you all again. What's going on where you are? How's the MFA thing going? Any changes to your plans since last month? How are your letters of recommendation stacking up? What about your writing sample? Is that all done and neatly out of the way? Have you ordered your transcripts yet? And--maybe most importantly--just how're you managing to find the time to get all of this done? Questions and comments, all. We'd love to hear from you. Do I have to pay my application fee before I send my transcripts, or can I just start sending them out? I mailed everything to my recommenders yesterday. I have solidified my decision on one story for my sample and am revising and rewriting others, trying to make up my mind about which will be my second piece. I've scheduled my GRE and carry around flashcards everywhere I go, quietly repeating the definitions of obscure words. This week I will request for my alma mater to send off my transcripts to the respective universities. I can't wait to send these applications off so the weight of these deadlines is off my shoulders. Many more to come, I'm sure. Thanks to anybody who responds to the mailbag questions, y'all are way helpful. I'm slated to take the GRE on Oct. 27th, and actually wish I had scheduled it sooner. I simply want the test anxiety to be over with, as I'm finding it stressful to tackle studying while attempting to finalizing my portfolio, which is obviously where I should be spending the majority of my time. I have 14 official and sealed copies of my transcript at my house right now. I requested them a month ago simply to get it out of the way. Am I correct in thinking I can just include the sealed envelope with my other application materials (obviously making sure to send the transcript to the correct place, as some of the programs want it sent to the Graduate School while your portfolio should be sent to the Creative Writing department)? They don't need to receive it directly form your alma mater, right? My SOP is pretty much finished. I've tweaked it for three of my 14 schools so far and I'm just waiting for the time to tweak it for the others. All in all, I feel alright with where I am, but I'm certainly feeling the stress. Between working my full-time job, juggling a couple freelance gigs, taking a poetry class at my local adult ed, studying for the GRE in the nights and polishing the portfolio, there's barely time for MFA blog stalking. If nothing else, I'm saving money due to the seemingly never ending work cycle, which I suppose is a good thing since I should plan on being rather poor for the next two-three years. Cheers to those in the same boat! You can cut and paste the text of your story into the box and it will calculate your word count. I met all of my recommenders last week and briefed them on my school choices and ascertained how they would like to send their letters in. The mere mention of uploading letters online caused one my recommenders to look at me as if I had just shot him. Therefore, I am going lo-tech for this operation and putting together packets (forms + all ready addressed envelopes) this weekend that I will give to them over the next week. Still finalizing the portfolio, considering submitting even more poems that I've written fairly recently. Hopefully the mentors will have something to say about this. GRE doomsday approaches, and my desire to study for it continues to wane incrementally. Can anything convince me to care at this point? I say neigh. I have filled out almost all of my apps (having some issues with OSU's which doesn't list the Fall 09 quarter as a start term yet). I will pay for them as soon as I get a few checks, hopefully by late October or mid November. The personal statement is nearly done, now I need to work on the teaching and other miscellaneous statements. I will look into ordering my transcripts soon. Probably this week it seems. I am so grateful for spending my summer researching all this stuff. If I hadn't I would have been SCREWED! You can start sending them out. Usually a department (or grad school admissions office) will start a file for you and accumulate stuff as it comes in. You can send an e-mail to the program admin assistant and usually these folks will try to be helpful and let you know what's missing from your file. To make it easier on them--and remember that around application time they do get really busy--send an e-mail *after* you've mailed everything in, asking whether your file is complete or stuff is still missing. Originally, I had planned to just take my GREs this year because I thought I was graduating next Fall. PSYCHE! My advisor told me I'm graduating this Spring. So now, I'm in "FULL-SPEED AHEAD!" mode as far as applications go. I scheduled my GRE and I'm starting to study. Making Flashcards. Everyone told me to buy the Princeton Review, so I'm relying on that. I took a practice Verbal online somewhere and scored a 250, so I'm starting to PRAY again. The Virgin and I are close. She looks more like Gayle, than Oprah, oddly enough. This coming from the kid who failed his SATs. I will vaguely study the Math, but I think I'm winging that. I read one one of the universities websites that they only look at the Verbal and Analytical Writing scores, so I need to focus on that. A GRE teacher on campus gave me this tip. "Focus on Reading Comprehension. It's only the section where all the answers are there on the paper." I'm drawing a blank with my personal statement and I need to expand my personal essay another 10 pages. It's just so intimidating. "What are your aesthetics? What are your philosophies?" I'm thinking of writing another essay. right now i'm working on my personal statement. i want to be as honest as possible in my statement and emphasize that I'm pursuing the mfa because i want to work on my writing and have no interest in working as a teacher after the mfa...but funding is tied to teaching and i need funding. i'm scared i wont be able to get funding if i make it really obvious that i don't want to teach. should i not mention my lack of interest and just talk about my pursuit of the mfa degree for purely artistic purposes? You might not want to go out of your way to mention that you have no interest in teaching. Honesty is good, but at the same time, you don't want to give them the false impression that you won't take your teaching responsibilities seriously. I'm looking at different low-res programs and was wondering if anyone knew a source that lists different schools' positions on the open access issue. I don't want to go to a school only to find out that my stories/novel will be posted online. Any info on this? I just took the GRE and scored a 650 Verbal 710 Math, and 5.0 Writing (woohoo!). Funny thing is I really though I was going to receive a failing score...a few pointers, if anyone wants them. Your mileage may vary, obvie, but they worked for me. First, don't stress about vocab words. At this point, you know what you're going to know and unless you've quit your job to dedicate your life to studying for this test, you're not going to be able to cram them all in in time. Focus instead on learning how to deconstruct the bits and pieces of words so you can make decently educated guesses. Second, those GRE help books have some pretty decent strategies in them, especially if you don't test well. I used the Barron's book (Though I also lost the software that ETS themselves sent me, so I can't really comment on that =). Third, during the actual testing process, keep your cool, don't worry about your guessing, and budget your time wisely. It's really easy to get stuck solving the first few problems. Eliminate one or two answers and move on. Fifth, if you've fallen behind on the study track, at the very least take a few practice tests in the best simulated conditions you can. Sitting in that room in front of a computer for hours is a friggin' endurance run. It might go without saying, but don't rely on caffeine-laden stimulants or such like you might before other tests...you'll crash before it's over. I've been reading the blog for awhile now, but have never posted before. It seems like most of you are in the same stages of the application process as I am, and I thought I would seek some advice. I know the programs that I'm definitely applying to, but most are very competitive. I'll list them below. Are there any that I haven't listed that might not be quite so competitive? I'm especially looking for full to good funding, and no critical essay requirement (no time). I'd love if you could request a couple more possibilities. Thanks! Also thinking about San Diego State University, American, Notre Dame, Minnesota, and Colarado State. I've spent the majority of this weekend avoiding the GRE and instead completing some online apps. Has anyone else noticed that Minnesota's online app is rather over the top? Compared to the other ten or so I've completed, MN wants so much seemingly extraneous info that it leaves me feeling a tad inadequate, which I don't feel is the case. For example: Please list any national or international fellowships which you have received. Give titles of research and inventions, etc. Are you or your siblings the first in your family to attend graduate school? Er, seriously? Can't you just take my money, ask me the basics and judge me on my portfolio? How much weight could these questions actually carry? I don't like when they ask for your resume and curriculum vitae (i.e. New School). I'm 21 years old. Did you want me to start getting published at 16? Give kids a break. Well, I do understand the resume/CV requirement. It allows the folks who have done writing-related (or unrelated) work to showcase it. They aren't going to hold being 21 against you, but the people who have held down some jobs in between might get a little chance to show their stuff. Not to sound archaic, but I really long for the days of paper application. Things just seemed simpler, no? I've decided I'm probably not going to apply, at least not this year. I think going to an MFA program would just lock me down and get in my way. Everything a program can offer is more or less what I can already create for myself. Especially since my state gives out $10,000 artist grants, which I'm going to apply for to work on my novel, and I feel like I'd have a good shot. So yeah :) Good luck to everyone else! As most MFA programs fund through teaching opportunities, it seems to me that mentioning that you're not interested in teaching may work against you. If a program is looking for strong writers who can carry out teaching duties at the same time they work on their writing, an outright statement of "I am not interested in teaching," may make it difficult for a committee to find a way to admit you. How would they fund you? On the other hand, if you're truly not interested in teaching, maybe you should consider applying only to programs that don't require teaching? It may take some detective work, and it will limit your choice as far as location and other considerations, but you should be able to put together a list of at least seven or eight programs that offer alternative means of funding. I know they're out there, starting with the obvious choice: UT. Great tips on the GRE, jesse. Thanks! Take a look at our recent discussion, "Where are you thinking of applying?" Lots of great suggestions there. Good luck to you, Monica. Sounds like you have a great alternative lined up. The MFA thing is going great! But then again you're probably asking about applying to MFA programs not being in one -- still teaching and writing are lovely over here. Although, I admit that I'm spending more time teaching and grading other people's writing than I'm spending on my own writing. Last year I went through the application process and everything worked out great--I'm sitting at my desk in a new city, procrastinating a little from grading papers. It sounds like lots of people are very far along in the process, but I want to give a shout out to those who aren't so far along. At this time last year I hadn't ordered transcripts, contacted my recommenders, finished my writing sample, or done any of the things that I probably should have done in advance. If you aren't that far along yet, don't worry. The first priority should be getting in touch with recommenders to give them plenty of time, then signing up for the GRE. I crammed on my writing sample until the last minute and made a few eleventh-hour runs to the post office. It's definitely not too late to decide now to apply, no matter what you read elsewhere, so don't be intimidated. thanks Lizzy, I didn't see that topic before! Eileen, that's great. I have to say I spend more time on grading and reading other people's writing than I do on my own writing, too. In fact, I felt just a smidgeon the skeptic before actually coming to my program, wondering if I couldn't just go write on my own. Well, all of that's history now. I love it and feel like I am learning in spades. Couldn't have planned it better. Thanks for stopping in. Continued good luck to you. I was also a procrastinator when it came to the small stuff, like ordering transcripts. I took my GREs early and had my writing sample ready by spring. I also spent a lot of time early on working on my spreadsheet of programs. But when it came to actually getting on the ball for recs and transcripts and ordering extra scores, I definitely waited until the very last minute. With some hustling, I was able to rescue everything. Thanks for the encouragement to our guests. I agree that applicants shouldn't feel intimidated at this juncture. There's still time to get things done. I studied at the University of Granada (Spain) for one semester of my undergrad. I didn't need to transfer any of that semester's credits for my B.A., as I entered college with a semester's worth of AP credits. Knowing I didn't need the Spain credits led me to attend/cut about 50% of my classes...and also fail that percentage of my four courses due to strict Spanish attendance policies. The University of Granada issues transcripts. Do I have to get one for that single semester and submit it to MFA programs due to the "please send a transcript from every institution you've attended" policy? @ shea, thank you so much for saying that! I am exactly where I was during the last mailbag, lol. Well, maybe not exactly-- I have started my online CW classes at UCLA and the local CC to beef up my manuscript, snag a couple of recs, and gain some experience w/ working independently (for the low res side of things). Congrats to all of those who have the app train rolling full speed ahead! I ask this everytime, lol, but there is no pain in asking again . . . Anyone familiar with the Otis College of Art & Design? Thanks Shea - that made me feel much better to know I'm not that far behind! At the moment I've started all of the online apps, have an almost completed personal statement and a portfolio that makes me half way happy. This coming week I plan to request transcripts and gre scores (I took the test several years ago), as well as start pulling together packets for my recommenders. It's not a horrible place to be at this point, but I'm feeling a little stressed about it! I think this was touched on a bit in a previous mailbag - but if a school says they "strongly recommend" recommendations are submitted online how bad is it to have the recommender do it via paper? From previous experience with applications, I just find this method a hundred times easier (for both me and the recommender). I have a question about transcripts. Do they need to be sent directly from my undergraduate university? Most schools need two (one for the graduate admissions office and one for the english department). It seems my transcript would be more likely to get there safe if I included one with my admissions packet and the other with a SASE, but am I correct in thinking that most MFA programs want them sent directly from the undergraduate university? Thanks! Thanks for the help. One question: Did you need to bring the school codes you wanted to send your scores to or were you able to pick them out of a book at the end? They let you send your scores to three schools for free, right? I am taking the GRE later this month (Oct 23rd), and am mailing out transcript requests today. I've started 4 or 5 online applications, and have talked with my 3 recommenders extensively, and will be delivering them the requisite forms/info next week. Haven't started my personal statement essay, but my writing sample is pretty much ready. Now I need to finally settle on my schools. I keep changing my mind on the ones that aren't my top 5. I have filled out all of my online applications. I haven't started my personal statement. I take the GRE later this month. I've talked to my recommenders, but we haven't settled on which ones want to do online versus paper, I'm still considering four different writing samples (so I'm working on all of them), and I haven't requested my transcripts yet. I would try to write this off as purely having to do with having been in the hospital this week, but frankly, I think I'd still be in exactly the same position had I not gotten sick. I thrive on last-minute pressure. I was able to pick them out of the list, and yes you get three. However, I was dumb and forgot to check which department they needed to be sent to before I went in to take the test. I got it worked out by calling the schools I sent them to and getting everything sent to the proper place, but I would strongly recommend going in knowing exactly which department for which schools you're going to be sending your scores to. oh man, i'm starting to feel a little underachieving now now...oh well. i applied for the javits fellowship and so i have my personal statement from that, which i'm planning on personalizing for each of my schools. i'm requesting GRE scores and transcripts after i get paid this friday. still finalizing my writing sample - i have a pretty clear idea of what's going in there, but since i'm writing a poetry thesis this fall, i want to give myself ample time to add a newer poem if i feel that anything's ready. i'll be going over my manuscript with my thesis adviser in the next two weeks. and then i need to check in with my recommenders re: paper/online. About the GRE, I would say what was most helpful in preparing for the test was my set of "500 most popular GRE words" flash cards and the practice tests I did online to familiarize myself with the format of the test. I did not study too much beyond that, and I got a 670 verbal. My math score was a 550, which is pretty dismal, but I wouldn't change a thing about my preparation. This link is for the main graduate application (the Texas Common App). I'd follow this process just to submit a payment and to have an official application on file. This is the MFA program procedures according to the English department. This site is slightly more sophisticated than the actual Creative Writing office, and it instructs you to submit your writing sample to the English office (the most important component). And if you're unsure of what to submit and where, just call the CW office, English office and Graduate Office, the latter being important because that will be the office that officially admits you into the university. I'm low-res, so it seems my timing is different. I will be going to Bennington in January, I started a blog documenting my process called "Road To The MFA" www.roadtothemfa.blogspot.com (more relevant to low-resers maybe?) and have started writing what I thought would be a new memoir Happy Endings, but turns out may actually be the beginning of my already started memoir Honest. Oh No! Which title shall I use?!! You know, I'm supposed to send a hard copy picture of myself to Bennington. Who gets those anymore? Oh, you asked about recommenders. Well, this is going to seem like I'm now just shamelessly plugging my blog that noone reads, but honestly, why write the same horror story twice. My post "On My Waaaaay...." is followed by "Shuga to Shyt." Together they detail my experience with finding recommenders. The latter details a pretty traumatic bit of terrain on this "road to the MFA" that I think somebody out there would relate to, or at least get indignant about for me. So, one of my recommenders asked me to write my own recommendation letter, send it to them, and that they would sign it and send it in. I am all for making it easy for my recommenders, but I that strikes me as a bit unethical. I go to an incredibly small school, so the fiction creative writing staff is literally one person a year...could I have someone who've I've taken creative writing classes with for four years write me a letter of rec? I don't want to cross any lines! Are these foolish choices? My problem is I need full funding or simply can't go. I requested all my transcripts last week. I've lined up all my recommenders and have their addresses (for the two I'll need to mail) and will get them all the forms later this month. I've gotten feedback on my writing sample from one recommender and a couple friends so far, and I feel okay with the 10 page base (I'm in poetry). Still ruminating on what to include for the places that want more than 10 pages and doing revisions on everything. The statement is driving me up the wall. I've got three different drafts started, and I'm beginning to think I'm just overthinking it all. I just today got my fall bonus, so I'm going to schedule my GRE very soon. I've stalked/cultivated my LOR recommenders over the last year or so, so I feel medium-comfortable (read anxious) over asking them. I take the GRE on the 27th (thanks jesse th., your advice is very helpful!) and am studying/practicing when I can. Best wishes to you, and everyone else contributing to this site. It helps to know there are other people obsessing over the same things. P.S. Anybody applying to U of Washington for fiction? i'm curious to know if it's too early to open up applications online. i'm ready to but i don't know if its too early since most deadlines are mid-december to mid-january. has anyone done this yet? what does that process usually entail. once you open it up do you have to submit it or can you save it and work on it again later. That strikes me as a bit weird, that your prof would do that. I'm not sure if I can argue from an ethical viewpoint here, but I would be a bit uncomfortable about this. Question: If you got into Notre Dame last year, why didn't you accept? I understand they offer full funding to everyone. Am I wrong? Was it a location issue for you, or perhaps faculty? And if so, why did you apply in the first place? I'm curious because I'm applying there this fall. You can save your info on online applications all day long, so go ahead and start the process. I've actually submitted one of my online apps already. Why wait? I've opened roughly 10 online apps so far, and have submitted none of them. I've found it helpful to create a spreadsheet to record what my username and password is for each school and where I stand with each one. You're allowed to save it and come back to it later, which is nice. I went to Business school in 1991, and got my MBA through the first Gulf War (I did an overseas Boston University program in the Middle East, where I was living at the time - so when I say "through the first Gulf War" I actually mean living through air raids) and a divorce shortly thereafter. I just got the unofficial transcript from BU. I knew I wasn't at the top of the class but I didn't remember that my grades were that bad (there was one F in Math that killed my GPA). I got the skills I needed and moved on with my life and career. However, I kept going, and got my degree. I didn't take a break, quit, or give up. Can I call out the extenuating circumstances in my supplemental material? Will it look too much like whining? More importantly - is there any point? It was 15 years ago. Maybe someone is the same person today they were 15 years ago, but I, blessedly, am not. Am I fixating on this just for something to worry about? Is anyone else applying to Southern Illinois at Carbondale? I keep trying to start the application process on the SIUC website, but it never loads. I e-mailed the webmaster but haven't heard anything yet. It is true that ND offers full funding to everyone, in the form of complete tuition remission (in the acceptance letter, they make sure to remind you of just how much that's worth, at a private school!). The faculty and students I spoke with were outstandingly friendly and helpful, and I know the program is well-regarded on a whole. Ultimately my decision came down to a two major things-- first, location was far less than ideal for me and for my partner, who's an artist. Even students who were in love with ND'S program spoke poorly of South Bend, IN. Second, I came to realize that full funding is more than tuition remission. Health insurance is expensive, and even though living expenses in that part of the country are extremely modest, I still would have had to work, maybe full time, to support myself. And as of last year, there was only one TA position available per genre to incoming students. Those things aside, I had some really positive dealings with the program while I was deciding. The students emphasized how friendly the atmosphere is, sans writerly backstabbing. And the faculty seemed really excited about my work. On the whole I think, it's a good program filled with smart, helpful people. It just didn't feel like the right fit for me. Which sometimes is hard to tell until it's your only option. Good luck with your apps! I don't think it's totally rare for recommenders to ask you to write your own letter. My SO was in the same position when he applied to grad school. I reacted the way you are now, but the more I thought about it, the less weird it seemed. By asking you to write your own letter, he/she is gesturing that he/she has faith in your abilities, and that you deserve to get into a good grad school - which are precisely the two things you want your recommenders to do, right? I agree with Lisa, just run with it. You can always encourage your recommender to make any alterations he/she sees fit, before signing. Good luck to you. Write the rec. I had to do it before, and was asked to do it by others. In all instances, the recommenders were uncomfortable writing the letters. They were unsure they'd give me what I needed and wanted to ensure they'd be a help and not a hindrance. To both Schoolboy and CLR, I'd like to remind you that in most cases, the most important thing is your writing sample. The recommendations help the faculty to feel confident that you will be consistent, a strong contributor. The transcripts let them know you went to school and how many credits you earned. I never got my degree. I have all kinds of great reasons for why I didn't, and honestly I didn't go into any of them in my essay. I focused on my experience as a writer, particularly those experiences that contributed to my growth. I also discussed my reasons for applying to MFA program in general, and to that MFA program in particular (I only applied to two, I was very clear about why I wanted to be there.) I was somewhat specific about what I wanted to get out of the program. It may seem that all applicants have the same goal: to be a better writer. However, there are nuances to that desire that differ for each of us. I spoke about why I was applying, and also about what I would contribute to the program. If I were going to explain my transcript, I'd keep that short and I'd put it toward the end. Truly though, and this is just me, I wouldn't bother to bring it to their attention. I really think that in most cases, the reviewing faculty reads the manuscript first, and have some amount of their minds made up before they go to the supporting materials. Maybe those materials come in handy if they're trying to decide between two candidates. Let me be clear: I'm going to Bennington, a low res program. There may be some differences in how their admissions processes work. From what I've read here, it doesn't seem so. Feel free to check me out at www.roadtothemfa.blogspot.com. There I have been documenting my steps toward acceptance, and once I catch up, will be detailing the rest of my process. Maybe, as I share what I've learned through my process, it will help you. That's my goal in writing it. I'm hoping I'll save people some of the anxiety around applying. If you're a strong writer, you should feel secure. If you're not sure you're a strong writer, use the application process as a gauge. If being a strong writer is important to you and you don't get in, you can strengthen your writing (through workshops, for instance) and apply again. My advice: meet their requirements, i.e. turn in the proper number of recommendation letters, the transcripts, the correct number of pages in your sample, etc., and MAKE SURE YOUR SAMPLE/MANUSCRIPT IS STRONG. If they love your writing, they will bust their butts to help you figure the rest out. That's my opinion, take it for what it's worth - which may or may not be much! I know this off topic, but tonight, when it seems to me that our ability to be working as artists is in peril, when things like funding for grad school might soon drop of the radar of what is important in this economy, please, please VOTE. Where ever you are, whatever you believe, VOTE. clr: my situation is a bit different than yours but I thought I'd share. I attended two quarters of an MLIS program. My grades were not stellar as I realized early on that the program was not for me. For my MFA apps I decided to address it with a couple of sentences in the personal statement. Nothing fancy, just something like "I tried it and it wasn't for me. I think the varied experiences I have make me a stronger writer, etc.." I wanted to address the low grades without highlighting them too much. Perhaps something similar would work for you? 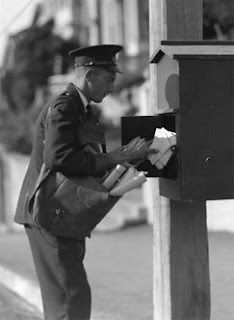 Question to all: Are you having your recommenders submitting their letters online or via the mail? I'd like to have mine do theirs through the mail but am concerned the schools might look down upon that. I've got 4 or so applications started, have my LOR people picked out and have finished two stories for my samples. I'm taking the GRE on the 18th (the day after my 23rd birthday, blah). This whole process is driving me crazy with anxiety. My biggest problem is with my SoP. I can't think of anything that could serve as an effective hook for the first paragraph. Any tips? Thanks for the GRE advice and the rest guys, here's wishing everyone the best of luck! I just scheduled my GRE, for next Thursday. I just want to get it over with! And the thing about the GRE that bugs me is that I took it once before, in 1999, when I was still an undergrad who thought I'd go straight onto grad school, and I did really well on it, but of course those scores aren't valid anymore, and I'm afraid my scores will be much worse this time around since I'm out of practice with taking tests and doing math. Grrr! Is there anyone else here who took the GRE in the past and then had to retake it recently? How did your scores compare? When I took it, they had the Analytical section instead of the Writing section, so I know I can't compare those, but I'm wondering more about the verbal and the math. Anyone? Here's my suggestion: if you are having problems with the opening paragraph, then write the rest of your statement of purpose first. Get your ideas down and get yourself unstuck. That may give you more clarity and you may find among your words the "hook" you're looking for. I'm afraid I can't speak directly to how retaking the GREs years later would impact your score, but I can speak from experience, having taken the GREs just a few weeks ago, and having been out of college for four years. Simply, I think that you'll have to do some kind of preparation for the GREs. While the question types haven't changed (analogies, antonyms, reading comprehension, sentence completion), the very act of taking the Verbal GREs is just so counterintuitive and awkward to the way you'd normally approach a regular test that you'd have to do some measure of preparation. When I first started studying, my practice GRE test scores were much lower than I expected, but with practice (many many practice tests), I was able to "train" myself, so to speak, to take the GREs. Frankly (and I'm sure you know this, from taking the GREs before), the GREs are not a measure of practical knowledge, but a measure of how well you know the GREs. So it's just a matter of getting back into that mindset. And don't worry about the math section. Schools could care less what you score there, so if you're in a time crunch, I'd just forgo studying for that part of the test entirely. I've seen some people mention having a low (sub-3.0)GPA, and that certain graduate school's websites stress their minimum gpa of 3.0 more than others, and so they are avoiding those schools. But every website I've been on (except SIUC and their fantastic 2.7 minimum) mentions a minimum 3.0GPA requirement, and only one or two (Virginia Tech I think, and maybe Maryland) say that extenuating circumstances might come into play in certain cases w/ someone having a lower GPA getting in. I've heard a lot of people say that GPA doesnt matter, that it's all about the writing sample, and I want to believe that, because my undergrad GPA is going to be no higher than 2.9, and I don't want to waste an application on a school that is strict on the min. GPA thing, when I could have applied to another that isn't. Bet you my undergrad GPA is worse than yours! So I can't speak directly to having past experience, since I'm in the same boat as many here -- in the process of applying to MFAs -- but I've probably exhausted every resource available to me in figuring out what schools will disqualify me and what schools won't. The short answer is: it depends. GPAs are a requirement of the graduate school, not the program, and some programs have a longer leash when it comes to GPAs than others. The schools that have strict GPA requirements will often state explicitly on their admissions page that a GPA under 3.0 is not acceptable. Those schools I've left off my list. For all the others, what I did was put them into my list, and then tried to figure out if the graduate school had a GPA requirement. If they did, I emailed the program and asked them how strictly they kept to that requirement. Many of those programs (the ones that did not explicitly state the GPA requirement on their admissions page) told me that they consider the application holistically -- the writing sample, the GRE scores, recommendations, etc. So that was heartening. In regards to competitiveness, I've asked and read countless times in other forums that the GPA (provided that the school doesn't have a strict requirement, of course) is nearly always the last thing that a committee will look at when judging your work. That was heartening as well. So basically, while nothing can remove my fundamental paranoia about my undergrad grades, there's some comfort to be found about all the evidence otherwise. You just have to do the research. Good luck! i think eric t is right on in his comment about the graduate school and how much they impact the writing departments ability to accept who they want. perfect example: me. i applied to two schools and was accepted to both without an undergraduate degree. (i have two years of undergrad.) in one instance, they liked me, called and said so, sent me a letter offering admission. now, in the other instance, they liked me, called and said so, and began a long process as required by the university. that process involved me writing a second essay, faculty in the department writing letters vouching for me, professionals in my genre (that did not know me and were solicted by faculty) reviewing my writing and providing letters of support, and faculty outside the department writing letters after reviewing my essay, transcripts, etc. then the dean had to go over everything. this process was imposed by the university. that said, they did all that was necessary to secure me an official offer of admission since they liked... my writing sample. some other universities may affect their departments even more. i don't know. i do know for a fact that plenty of low-res and traditional programs accept students without a degree if their writing is considered strong enough. why then wouldn't they fight for a student with a 2.9, or even a lower gpa? if you want to save time and money and avoid sending to schools with hard lines drawn, i'd say call the school. maybe some departments don't like to be called, but i called when i had questions and people were more helpful - and happy to be helpful - than i would have ever hoped for. now, sometimes when i read what i write i perceive a tone of authority that may suggest i really, really know what i'm talking about. i don't mean to suggest that. my intention is to share my perception, and a bit of information as to why i have that perception, which in general means sharing what i've experienced (i definitely know about that) in hopes it can help. This seems to be in addition to the SOP meant for the MFA program. Yeesh. I just emailed the program to ask if they're actually requesting FOUR separate statements and I'm waiting to hear back. Just curious if anyone who applied last year may have the inside scoop. Working on getting all the materials pulled together - I still am polishing my writing sample (and probably will be until the day before I promised I would send it to my recommenders), need to start that personal statement now, and am filling out the forms for GRE and transcript requests. Anybody else rather embittered by the fact that it costs $20 to send scores to a school? I know I'll be shelling out a -lot- more than that for application fees, but it's awful frustrating to pay so much to have someone send a few numbers. And is it just me, or did that go up from $15 last year? Could you help me out? What do people know about the San Jose State University MFA in Creative Writing vs. the University of San Francisco MFA in Writing programs? I'm looking at doing non-fiction at both, although SJSU requires two genres. i emailed minnesota about that too and they said i can use the same personal statement throughout on the online since the program will actually be evaluating my statement. however i am interested to hear what you learn since their message back to me was a wee bit vague. Can anyone offer me some tips on the CV? I've never written one before and all my internet searchces have been fruitless. I've found samples for things like psychology and medical school, but I'm a lttle unsure on what exactly I need to do, formatting, etc. That's interesting to know (and thank god, because seriously, four essays?) I haven't heard back from them yet but will let you know as soon as I do. I am in the midst of my application process and just found this blog. Great stuff. My dilemma: I finished my undergrad in '99, so have been out of school for quite a while. One schools I am applying to requires an expository writing sample as part of my application and several others require one for TA apps. They specify college papers - particularly in literature. (And one of my top choice schools wants a 15-20 page one.) I have nothing of the sort to provide. All of my old college papers are on broken down computers in my parents' basement on the other side of the country! I am thinking about contacting the schools and asking if I can provide some other sample of my non-creative writing: writing that I've done in my professional work, etc. Has anyone else tried this? Thoughts/solutions? I do not have time to reserach and write a 15-20 page paper at this time as I work full time, prepare my apps, and study for the GRE. My one and only suggestion would be to call the school. You said you were thinking about that, I say go for it. I contacted one of the schools to which I was applying to get answers to my questions, spoke to several people and they all were very helpful. Noone seemed to mind me calling. Good luck. Below you'll find the categories on my CV. Hope it helps. affiliations - detailing writer's groups and organizations of which I've been a member. featured readings - where I give detailed information about significant readings in which I was the primary talent, the "headliner"
In some ways I am in great shape, in some ways not. My recommenders all have their packets, and all but one have written the letters and sent them in. I take the GRE in the morning. I filled out almost every online app, with the exception of Cal. Irvine, because they want all kinds of extra info, I love my statement of purpose and most schools have my transcripts. Now for the bad part: not a damn idea about what stories I'm sending. I think I'm writing all new ones. So I did something silly. I sent off my letters of rec to UBC (They've got an earlier deadline of Nov. 7) without looking at the part of their website that requires them to be sent off by the referees themselves. My professors are harried and flaky; I worry one of them will promise to write me a rec letter and then forget. Most programs want 3 letters. If I send a fourth, how much does it hurt me? If The only get 1-2 letters, how much does it hurt me? Took the GRE this morning. 640 on the verbal. Quantitative? So abysmally low that if any school looks at it, I will be immediatelely rejected. Jesse- When I applied for MFA programs last year, I had all of my professors send their recommendations (in individually sealed envelopes)back to me. I sent them off from there with my manuscript. I knew that some programs wanted them directly from the professors, but it was a huge hassle to adhere to this preference so I just sent them off myself with my manuscript, etc. Everything turned out fine. I think as long as they're sealed with the prof's signature over the flap, you are probably okay. As for the number of recs- I would definitely send the required amount. If one is flaky, get a backup. It can't hurt. A friend of mine had to email and call her 3rd recommender and it came down to the wire. If you need to check up on the progress of your portfolio (transcripts, GRE scores, recs, etc. ), I would recommend calling the department. And it's always okay to wait a bit and not freak out. I was accepted into JHU even though they had misplaced something in my file so technically did not have it. I just had to call in afterward and clear up a name change-- they would have let me re-mail it, too. Even though it's all terribly stressful, just remember: the manuscript is the most important piece of the pie. Good luck all! wow, i'm almost done with my applications. all i need to do is send out my writing sample and a few other documents to two more schools and then the waiting begins. I feel weird finishing this early. I did apply only to three schools (it came down to the fact that it's more important to be in a program and location that i like than being accepted into a program in general) and i didn't have to take the GRE, so that saved me a lot of time---but I don't feel quite ready to let go of this process. oh well, time marches on and sooner than i think acceptance/rejection letters will be on the way. also, i was just thinking earlier today about how fiction programs are probably slightly more competitive then poetry programs because (i'm assuming) there are probably more fiction writers applying to mfa programs than poets. does anyone have any thoughts/info/statistics on this? Well, I'm pleased to report that I've filled out most of the online parts of the applications for 7 out of 12 schools, asked for recommendations, slowly ordering those godawfully expensive GRE scores, and drafting statements and manuscripts. I tried to do this last year, but too much family stuff was going on for me to concentrate. This year I'm down to a full-time job, a part-time job, and a grad level writing workshop. No, I don't sleep much. Oh, and I check in on this blog, too. I hope everyone is faring well in the process. My caffeinated thoughts go out to everyone. Oh, does anyone know how long the folks at universities keep GRE scores? I took mine in 2006 and has them sent to three of the places I am looking into now. I don't want to spend another $60 if I don't have to. I so wish I had a resource like this when I was applying for an MFA. When I told Norman Dubie, one of my teachers at ASU, that I wanted to apply to MFA programs he took out a pen and napkin and wrote down the seven programs he thought I should apply to. That was very sweet of him. I did take his advice and applied to all the programs he wrote down. I got lucky and got into six of the seven. I got waitlisted at one program: Houston. I didn't do much research or even ask around. So kudos to all of you who are actively doing MFA program homework. Anyways, I want to wish all of you luck in finding the right program. Anybody else dealing with the THREE essays U. Cal. at Irvine wants? It is a nasty little surprise on the online application -- it requires an academic statement of purpose, and also what I think of as a diversity/what I can give back to the community statement. this is all on top of the 3-4 page letter the department of creative writing wants. I would double check on this one. It might be that your SOP for the program suffices and there's no need to complete these other three requirements. I know Minnesota, for one, also surprises you with these essays on their online app. I've emailed to ask what the deal is, and another poster spoke with someone from the department and it seems MFA applicants can submit their one SOP essay for all three. I'm still waiting to hear back and will be sorely disappointed if I receive a different answer. I scoured the UCI online app and their CW program website and the only essays I've found are the 1-2 pg SOP required of all grad apps and the 2-4pg Autobiographical sketch required by the CW program. Those appear to be the only required essays. I'm not sure if this is what you're talking about when you mentioned the diversity statement but I did see mention of a "Diversity Fellowship" that you can apply for seperately from your application and I am sure they require an essay. Upon further investigation it appears as though they are no longer accepting applications for that. Please let us know more about the diversity statement (if it's not what I just mentioned). I don't want to miss anything in my application packet! The MFA website says they want an autobiographical sketch, which they say is a 2-4 pager that is a statement about yourself as a writer. The MFA website also refers to the University's required SOP, which is "more of an academic statement." So that is what the MFA program website says. So. . . that is 3 essays total -- 1, the autobiographical sketch, 2, the academic statement of purpose, and 3, the diversity statement. Both 2 and 3 are on the online application as required. Sigh. Yeah, the MFA website doesn't warn ya, it just comes up on the online application. When you go into the online app (which fortunately you can save and come back to), you will see a section called "statement of purpose" and a section called "personal history." Each of these sections is a required essay. So if you want to see the different instructions for each, you can set up an online app, which you don't need to finish right away, and look at the instructions. I get the sense that they can both be pretty short. Do a search for CVs of creative writing professors. Usually this will lead you to the pages of faculty at universities. Not every professor has his/her CV online, so you may have to click around to a few places before you find some good samples. I must really be losing it, lol, because I don't see a section on my online app called "Personal history." I do see a section called "Personal information" but all it requires is your name, DOB, SSN, etc. Now, I googled the prompt you provided and it led me to UCOP PDF doc that says that the diversity statement will be a part of the the UCI grad app after Fall 07. Yet, I do not see that section on my application that I just started this morning. This is so confusing! I see that I am going to have to give UCI a call on monday for clarification. Thank you for bringing this up! bsquared86 -- that is bizarre. It is definitely on my online app. I wish it wasn't. I am applying to MFA Nonfiction programs for Fall 2009. Here is the thing: I've been in Cameroon for the past two years. I live in a village without electricity and I don't have frequent access to the internet. I will be here until December 5th or so. Because of this complication, I am not applying to any programs that have a deadline before January 1st. I figure that I need at least a month or so stateside in order to tie up any loose ends related to my applications. The main thing that I am worrying about (today) is my letters of recommendation. I have already communicated with my recommenders and they are ready to recommend me, which is good, but I am trying to figure out how to get their recommendations where they need to be by the proper date. I know some of the programs that I am applying to allow recommenders to simply upload their letters online but what about those that don't? Any ideas? 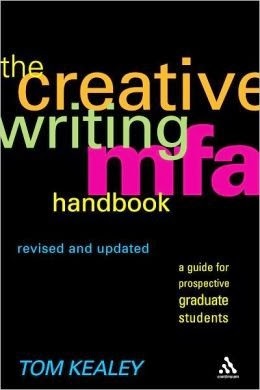 Thanks, everyone, for all the great information on applying to MFA schools. However, there's one thing that I never see discussed (maybe I'm just not looking in the right places), and that is, how do you know if you're good enough to be seriously considered for the schools you want to get into? How do I know what my chances are for the schools on my list? Or is it a crap shoot for everyone (as long as we're competent writers, of course)? I understand the difficulty in determining something as subjective as writing talent, but we should all have a good idea of our own ability, right? How else can I make an informed and balanced decision regarding which schools I apply to? 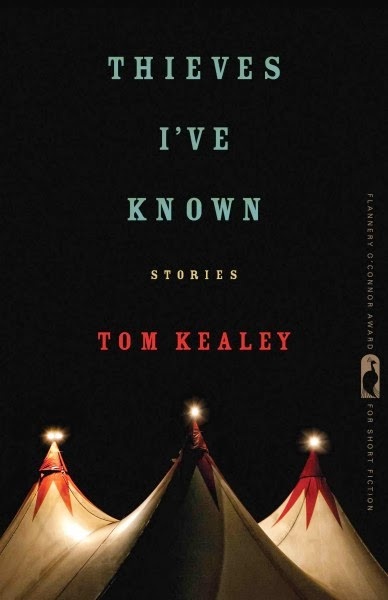 My chest-beating half tells me I'm better than everyone else and that I'll win a Pulitzer in my thirties, but my other half--the pitiful wretch who writes crouched in the closet--would rather poison himself than risk knowing his writing isn't worthy of recognition. I know I'm not alone in this. So what's the deal? I am taking the GRE this Thursday 10/16. LOR packets are out--one has asked me to write the letter for her, which I have not yet done. I've requested transcripts but not yet received them. All my recent work is in one place but not yet cleaned up and coherent as a whole piece of work--I plan to do that, and write that infernal SOP essay, after the test. I don't know which I'm dreading more! I am really terrified I am going to BOMB the GRE. I am testing at 80% in the verbal and 55% in the Math. I know it's not at all the most important part of an application, but I'm pretty worried that I'll be turned away from a graduate school even if I make it into a program. UGH. Everyone, should I take a list of schools/codes into the testing center with me? Because I am a destitute waitress, I plan on applying to programs piecemeal. After I get results for the GRE I'll apply to schools whose admissions processes have already opened, then work, week by week and school by school, from there. This thing is really starting to gain some momentum. Would graduate schools really deny someone admission based on their GRE quantitative score? Prior to the two references I've seen to this idea here, I was under the impression that these scores really don't matter. I've seen stipulations on department websites regarding the verbal score (usually that it must be above 500) but nothing about the quantitative. I know the graduate school often must give the final "ok" on a candidate, but we're still talking about Humanities departments here, i.e. word people, not some faceless academic despot whose criteria for every worthwhile student involves the mastery of a subject they will never use again for the rest of their academic lives. At least, this was the impression I was under. Am I wrong? I mean, I have a friend who applied to MFAs last year, scored somewhere in the 2-300s on the math section, and still got admitted to several programs. Maybe these weren't programs that required the GRE, but as far as I know, it's only your verbal scores that matter, if the scores matter at all. If they don't allow you to, try to at least remember which departments of your three schools they want the scores sent to, because you'll be able to look them up by school name/department name at the end (I got there and wasn't sure whether to send it to English, Creative Writing, just the school main office, etc). It'll save you a lot of hassle. I put off applying for years because of this concern. In my one of the posts on my blog (www.roadtothemfa.blogspot.com) I reiterated that very concern: "How do I know I'm good enough?" For me, I felt that my writing ability was strong, and yet somehow was unsure it translated to my work, my projects, the times when I was writing on purpose, supposed to be strong. Am I making sense? I even had my work reviewed by several highly respected and knowledgeable friends, writers with MFA's, some of who were and are teaching in MFA programs. They gave me great and encouraging feedback and I still wasn't convinced. However, when I was ready to take that leap and apply, their feedback definitely strengthened my spirit. Then, I'd say apply. I had such a boost of confidence when I was accepted and got such excited feedback from the faculty at the first program to which I applied. That confidence was solidified when I got the same reaction from those at the second program to which I applied. I mentioned those same anxieties or uncertainties we share in a conversation with someone from school #2 (Bennington). She said she thinks that, to a certain degree, that may not ever go away. She also told me of another well published writer who said that from project to project he doesn't if the work's any good until he gets that professional feedback. So, I think we familiarize ourselves with the standards, get feedback we can value, put work into our writing and then take the leap. Caitlin -- God I hope not. I took the GRE on Saturday and scored 640 verbal and 440 quantitative . . . that is 17th percentile on quantitative. I don't think anyone will care about our quantitative scores. I have a question about my SOP. Would talking about how a first, failed attempt at MFA applications changed my processes as a writer and caused me to reevaluate myself be a good idea or a bad one? I feel compelled to write about the experience, but I don't want to draw too much attention to my failure. Any thoughts? mighty armadillo -- I would say definitely talk about how your writing process has grown, but I also say don't talk about how you didn't get in before. just my 2 cents. Does anyone know if there is a limit to the number of institutions one can send GRE scores to? I see on the front page of the ETS website that additional reports cost $20 per school; I am really hoping they'll report scores to all 11 schools I'm sending apps to. I'm not sure this thread is still alive, but was hoping someone might have some practical advice. I'm currently in an MFA program I'm lukewarm about - it's my first semester, so I'm going to give it another semester (it's a three year program), but just in case, I'd like to reapply to a few schools to keep my options open. I'm planning on looking into 1 school I'd gotten into but rejected (who had offered me funding! ), 1 school i'd applied to but didn't get into, and 1 completely new school. 1. How should I present my 1 year at my current program in my application? Should I mention it? Do I have to say something in my personal statement about why I am looking to switch? 2. When reapplying to the school I got into, should I reuse the same materials that I used last time (since it was good enough to get me in last year)? 3. Last year when I got my recommendations, I used two writing teachers from workshops I took outside of school (I was not a writing major undergrad), and one former coworker/boss. Should I be asking someone in my current program to write that third recommendation instead? Any thoughts would be appreciated. I thought I'd be done with applications after last year too! One of the schools to which I am applying, The University of British Columbia, is a multi-genre program that requires people to apply in at least two genres, and recommends applying in three genres. How seriously should I take this recommendation? I'm applying in fiction and non-fiction, and I'm fairly confident in the quality of those samples. If I were to send in a third sample, it would be a screenplay excerpt, which I wrote several years ago. Obviously, I have progressed as a writer since that time. It's not that it's a terrible excerpt. It's just that I don't think it reflects where I am as a writer. Has anyone applied to UBC, or been in similar situations at other schools? Any opinions? That's so funny, I am in the exact same dilemma in regards to the exact same school. Only difference is that I wrote my screenplay excerpt about a year ago. That is spooky. Perhaps we are anti-matter versions of each other, and when we get accepted to UBC we will have to fight to the death. Um, but before that happens. I'm just going with submitting the screenplay. They seem to be really proud of the multi-genre aspect of their program. I get the feeling that as long as we specify that screenwriting is number three, and fiction/non-fiction are our two strong aspects, then the points of proving our desires to be multi-faceted writers outweighs the negatives of submitting a just-okay screenplay. The "recommended" part on the form seals that for me. I'd love to hear somebody else's opinion on this, and again I really have nothing concrete to back up this notion, but I thought I'd tell you what I'm doing. What does anyone know about the following programs--especially in terms of their funding. Indiana, Penn State, and LSU, to my understanding, are all fully funded. Pitt is drastically underfunded--I think I read that they offer 2 of those admitted full funding. Check out Seth's P&W article posted on the blog, it lists all of the schools that offer full-funding to all admits. If anyone who is applying to UNLV is still looking at this thread. . .
Do have transcripts sent to UNLV directly from your school(s). I had copies of my transcripts and sent them and it wasn't good enough. . . they insisted I order them again and have them sent to them directly from the schools. I am in the same position, been out of school for 10 years and am not sure my old work is up to snuff for an expository writing sample. Yikes! I figured I would have to use one of them and hope it's not too horrible, since like you I will likely not have time to write a new one and the idea is pretty scary anyway. Did you find out anything from the school?